Billy Brunch is a cozy and nicely decorated restaurant located in Carrer de Bailèn, just a block away from Passeig de Sant Joan, a beautiful street which currently hosts some of the trendiest brunch places in Barcelona. 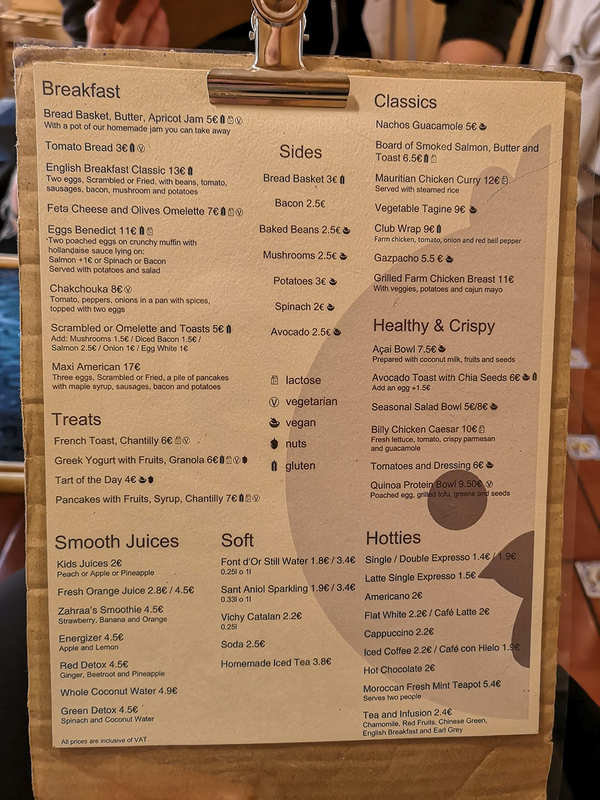 We usually don’t go for brunch often since we have trouble waking up early during the weekends, but this place seemed to be very highly recommended so we decided to wake up at a decent hour in order to avoid queues outside the restaurant. We went there on an early Saturday morning to try out their brunch menu and it was a nice experience. Type of atmosphere: Casual, stylish. Average drink price: Prices available on the menu above. It seems pretty expensive, or very expensive, on the quality-price ratio compared with all those great places you have reviewed with great meals or dinners (beer included) at Barcelona. Great pictures!